The closest Ulta to my house has always been forty-five minutes away and not even remotely on the way to anywhere else I might need to travel, preventing me from making an excuse to drive there. But, as of yesterday, a new location opened up ten minutes from Rutgers and fifteen minutes from my house, giving me little to no excuses any longer. Combine that with the fact that Torrid and Five Below are in the same shopping center and, well, you can deduce where my entire paycheck is going to be going in the near future. One of the great things at Ulta is the fact that they constantly have sales going on. So yesterday, I took advantage of two of them. 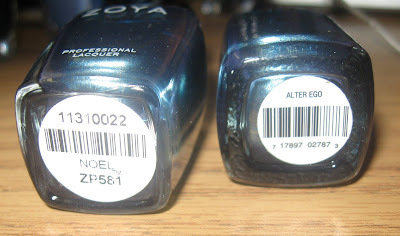 The first, was the Buy 2, Get 1 (B2G1) on Orly, China Glaze, and Nicole by OPI. I really wanted Fowl Play (FLAKIES!!!! ), so wound up going with Orly. But the other sale, which happens to be partially the subject of today's post, was the Mix n Match 5 for $5 sale. This included some shades of Ulta polish, so how could I resist? I picked up five shades, along with some other goodies, and came home to enjoy my haul. 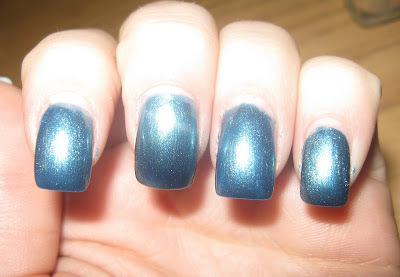 This is my brand new bottle of Zoya Noel. So new, in fact, that I had yet to even open the bottle... until now. 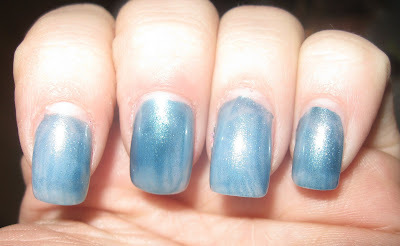 Noel is an icy blue with silver glitter, a cousin to last winter's Crystal. The main difference is that Crystal has gold glitter. But the base color blue is virtually identical. 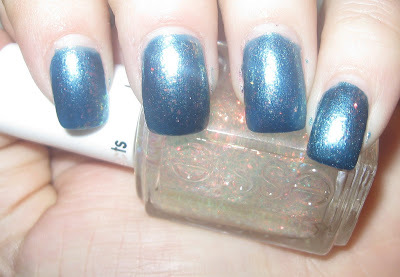 Alter Ego is also an icy blue with silver glitter. They look pretty similar after one coat, though Noel (middle and pinky) looks slightly darker. After two coats, Noel might be a tinge darker. But look at the index and pinky fingers. Did you have to scroll back and see which were which? I know I had to double check my notes. So are they a dupe? Let's find out! I love Zoya more than I can possibly say, but to get the same shade for $1 at Ulta would be much easier than ordering online and save me some money I could spend on another shade via a promo. 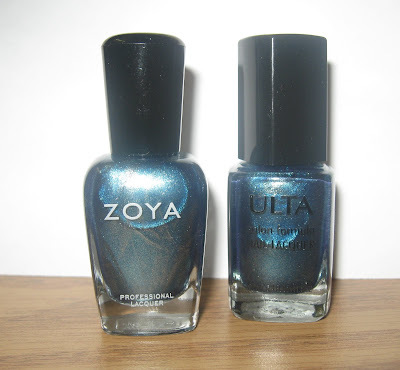 I received Zoya Noel via the Halloween Promo, so all I paid was shipping. I just would have picked Kissy over Noel, had I known. This will be the first time I'll ever advocate another polish over Zoya, solely because it's less expensive and of virtually the same quality. Just make sure you check the brush to avoid having a stray bristle like I did. None of the other Ultas I bought had that, so just be aware. Your regularly-scheduled programming will continue tomorrow with Day 12, which will now be the designated day of glass-flecked polishes! Be sure to vote for Reva, Yara, or Neeka in the comment section here and on Facebook for a bonus entry! See you all tomorrow! Happy shopping! 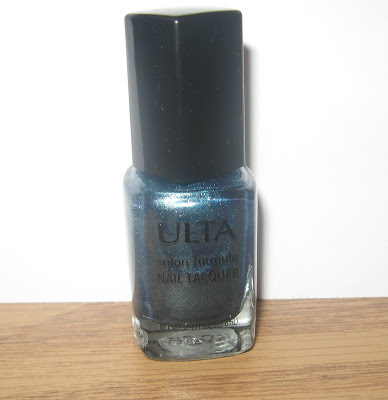 I have Noel and don't usually go to Ulta, so I won't be getting a dupe. My vote for tomorrow is Neeka!! Is it too late? lol I'm going to keep voting for Reva!